Following a successful beta test, Apple has announced that it will start displaying adverts in the App Store on Wednesday, October 5. 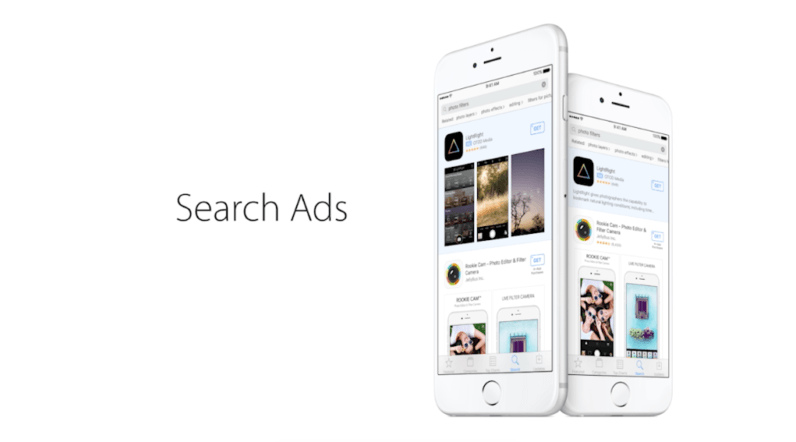 The ads will appear at the top of the results page when iOS users enter a keyword in the search box. The company claims that more than 65% of all app downloads come from search results. Apple’s hoping that its new Search Ads program will help users discover lesser-known apps that they wouldn’t usually find in the charts. To prevent the more popular applications on the App Store with larger marketing budgets from abusing the system, Apple has implemented a relevance algorithm that will only display adverts related to a user’s search term. “If an ad is not relevant to what the user is looking for, it will not be shown in the ad spot regardless of how much [the developer is] willing to pay,” states the official Search Ads page on the firm’s website. An email has already been sent to developers in the United States encouraging them to create a Search Ads campaign for their apps. Apple is even offering them $100 credit towards their first round of advertising. Personally, I don’t see why developers wouldn’t sign up. Not only will they have the facility to create adverts based on specific targeting features — gender, age and location — but they aren’t charged when users tap on an ad. Instead, they’ll only have to pay when someone actually downloads their app.